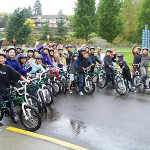 Congrats to Sequim for Becoming a Bicycle Friendly Community! 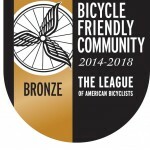 As Washington state’s sole entrant into the latest round of the League of American Bicyclists’ Bicycle Friendly Communities, Sequim joins Port Townsend as an Olympic Peninsula bicycle friendly community that recognizes the importance of making healthy, livable, and economically vibrant places. Sequim sits along one of the great bicycle destinations in Washington state, the Olympic Discovery Trail. Its rain shadow weather and moderate topography improve bicycling around the community. “This round of applications overwhelmingly confirms what we heard from local elected officials at the National Bike Summit this year — riding a bike embodies the quality-of-life aspirations of communities across the country,” said League President, Andy Clarke. 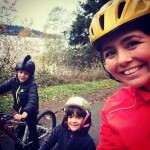 With this new ranking, Washington state is the most bicycle friendly state, has 13 bicycle friendly communities, 26 bicycle friendly businesses, and 1 bicycle friendly university. 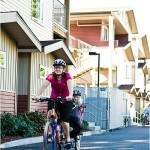 Washington Bikes looks forward to helping Sequim build on its new bicycle friendly community status via increased investments for safer streets, more connected bikeways, and by passing policies – such as a complete streets ordinance. This article was posted in Advocacy, Complete Streets, Economic Impact, Funding/Policy, Infrastructure, News, Olympic Peninsula, Trails. Bookmark the permalink. Follow comments with the RSS feed for this post. Both comments and trackbacks are closed.